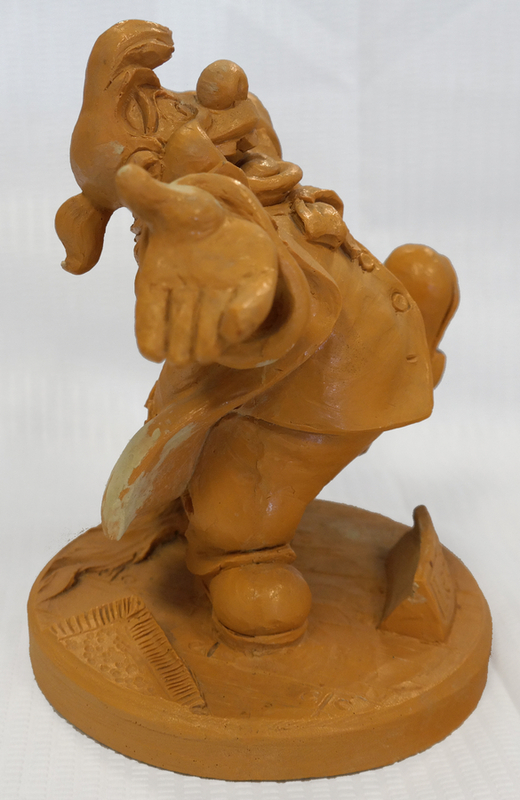 This is an original production maquette from the Walt Disney Studios production of Beauty and the Beast (1991). 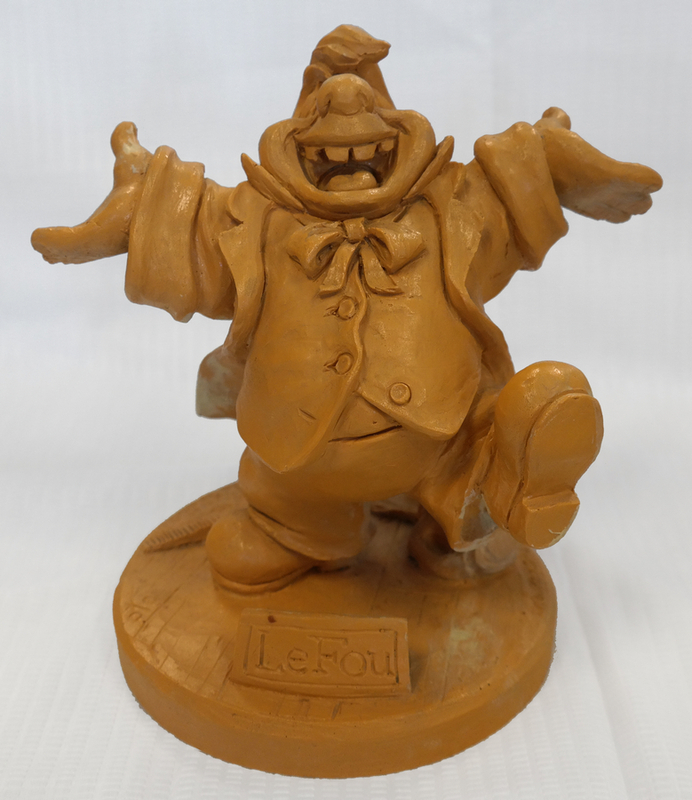 This maquette is for Gaston's sidekick, LaFoue, and was created at the studio and used during the production of the film. 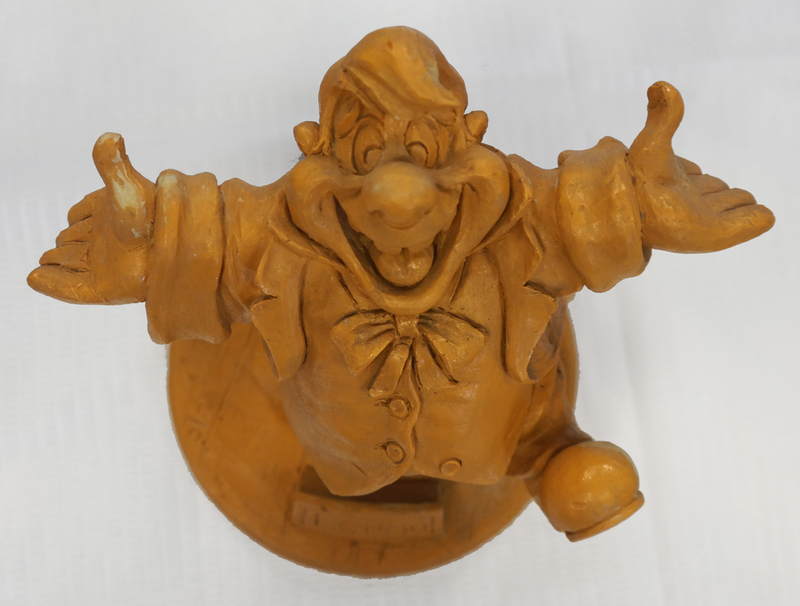 Maquettes are created early in production to aid animators with consistent character design. They provide the lead animator with a three dimensional representation of a character's dimensions. 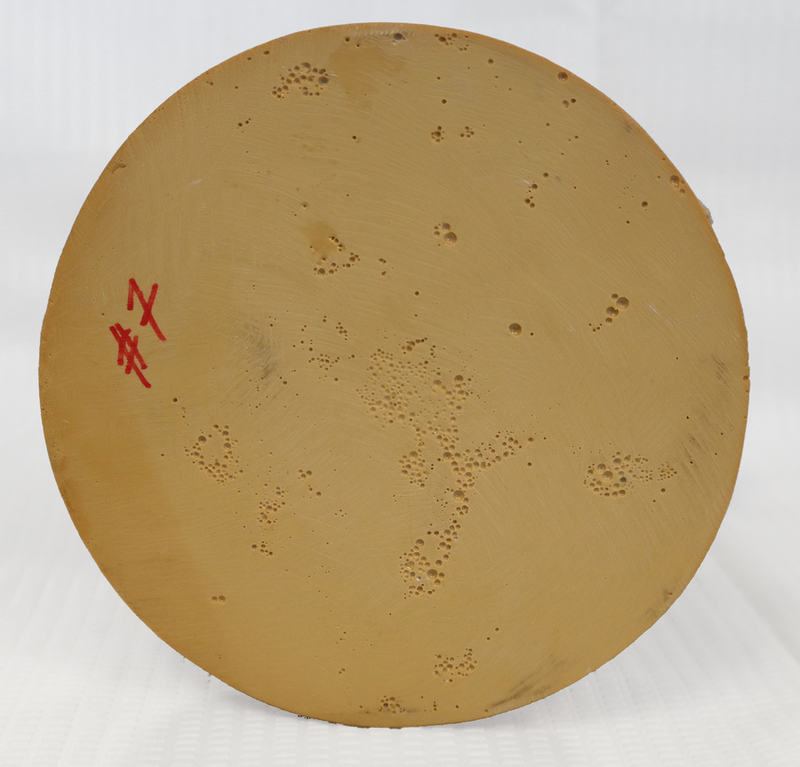 Maquettes are generally only made for a few people on a production, and can be very hard to obtain. 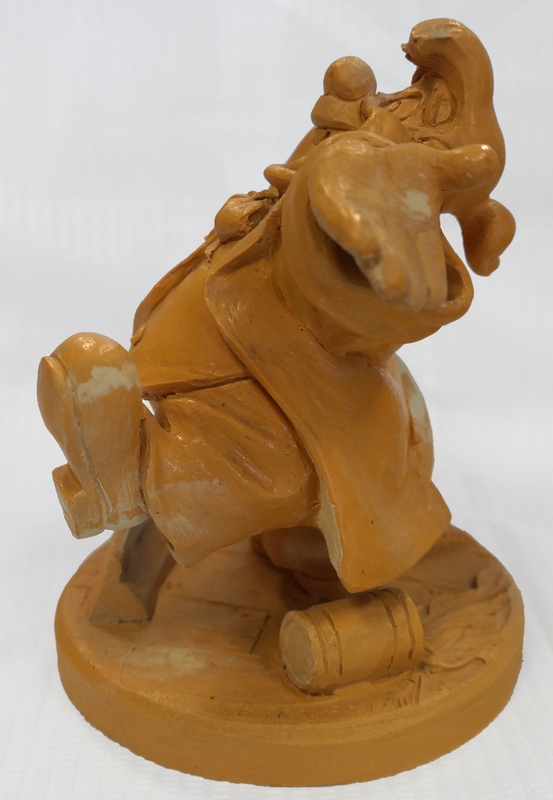 The maquettes from Beauty and the Beast were cast in resin only, rather than a resin composite, which resulted in the yellow/brown color that you are seeing. LeFou is in good condition and measures 8" x 8" x 6". 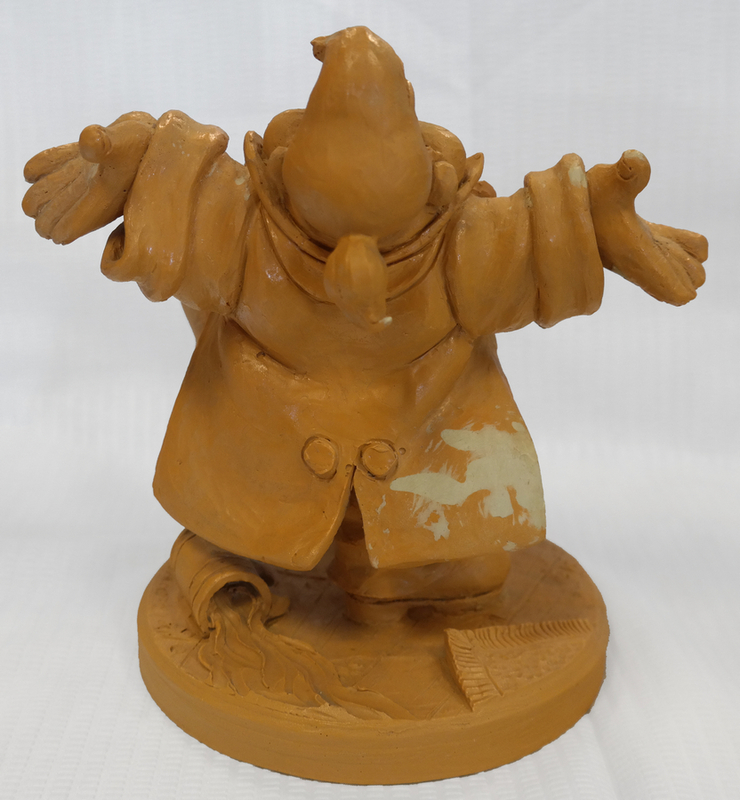 The original sculpture of the character was created by Rubén Procopio, and his name is seen in the base of this maquette's casting.